A fierce storm is no stranger to residents living in the Acworth and the Atlanta areas. Bahama shutters help to protect your home and your family when a storm hits. Weather the storm in style by depending on Duke Shutter Company in Acworth, GA, for durable and charming Bahama shutters. 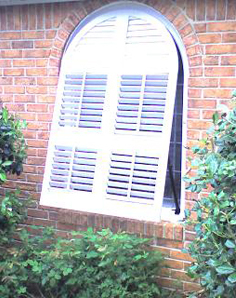 These sturdy shutters prevent debris from breaking windows and damaging the interior of your home. In addition, they block the heat from sun, which creates high utility bills for you. In addition, these functional shutters can be conveniently closed from the inside of your home. The team at our Acworth, GA, business believes that shutters are much more than a functional component of your home. A Bahama shutter is not simply an excellent protection against winds and storms or a great solution for more privacy. It also brings the look and feel of the Caribbean to your property. Attached to your home using a horizontal hinge, our exterior Bahama shutters from our Acworth, GA, company can be opened at an angle. They are some of the most unique shutters on the market and are great additions to your home. 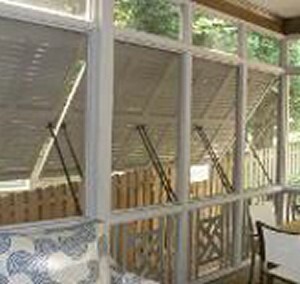 Enjoy some privacy by allowing our window shutters company in Acworth, GA, to install beautiful Bahama-style shutters on your windows. They are not only affordable; they are also fully functional and stylish. Depending on the purpose, the size of the window, and your color choice, we are able to provide a variety of Bahama-style shutters to suit in your needs. Also known as Bermuda shutters, our Bahama functional shutters open your home when you want a sweet breeze blowing through your living space. 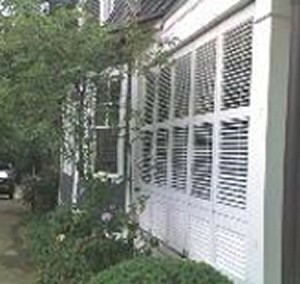 Due to their design, the shutters also provide shade from the sun. In addition, the louvers slant downward to channel rainwater away from the window. Contact us for more information about our installing our Bahama functional shutters at your home. We proudly serve customers in Acworth, Kennesaw, Canton, Woodstock, Marietta, Smyrna, Dunwoody, Johns Creek, Alpharetta, and Roswell, Georgia.